In Maturin – Vegas’ home city, located along the eastern coast of Venezuela – food is scarce. As is medicine, as well as medical supplies in general. A three-time winner on the PGA TOUR and longtime Texas resident, Vegas was looking for a way to help back home. In Cuatro Por Venezuela, he found one. 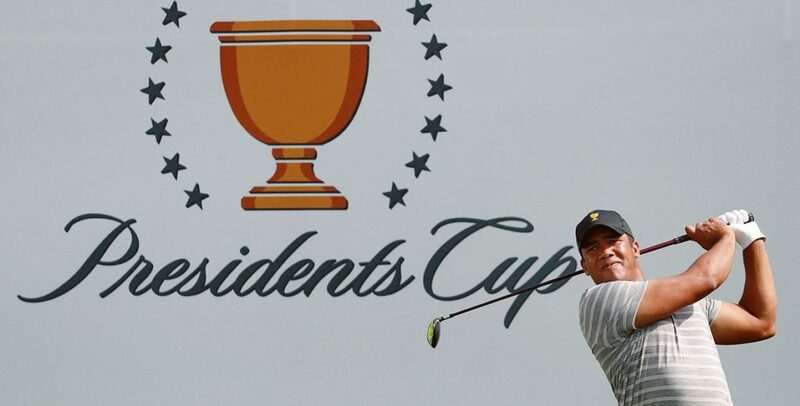 Vegas is awarding a portion of his donation from the 2017 Presidents Cup at Liberty National to the nonprofit, which is dedicated to identifying local relief programs and the specific needs of Venezuelans. Cuatro Por Venezuela was founded by Mattiuzzi, Gabriela Rondón, Maria Elena Texeira, and Carolina Febres – four Venezuelan women living in the United States. The organization is dedicated to creating programs and partnerships to deliver relief to any corner of the national territory of Venezuela. Specifically, Cuatro Por Venezuela relieves basic shortages affecting the Venezuelan population by delivering supplies and resources covering health, nutrition and education. In 2017 alone, Cuatro Por Venezuela delivered 18,000 pounds of food, medicine and supplies to over 90 partners in Venezuela. At Vegas’ request, a portion of the supplies provided via his donation will go directly to Maturin. Since 2016 – when Cuatro Por Venezuela was founded – there has been a shortage of food, medicine and medical supplies in Venezuela. This applies to all area hospitals, both public and private, making it very difficult for patients with chronic diseases to continue with their treatment. Consequently, the quality of life for patients has been deeply affected. In acute cases, such as medical or surgical emergencies, the situation can be dramatic, as the basic medical supplies needed to make a diagnosis or perform surgeries are often unavailable. The 2019 Presidents Cup will be held on December 9-15, 2019, when it returns to the prestigious Royal Melbourne Golf Club. The return to the State of Victoria, Australia, will mark the third time in the biennial event’s 25-year history. To find hospitality opportunities, information on travel packages, and ticket options, please visit www.presidentscup.com. For more information about Cuatro Por Venezuela or to donate, please visit www.www.cuatroporvenezuela.org. Please visit PGAtour.com for the original story.